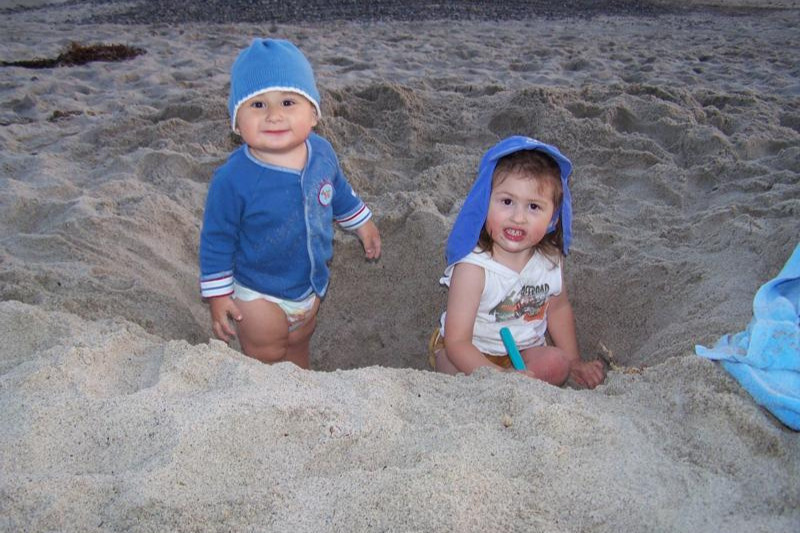 These are my Grandsons Joey Jr and Gianni McStay that were murdered with both their parents Joseph Sr (my oldest son) and Summer McStay (my DIL) in February 2010. It has taken almost 9 LONG YEARS to find arrest and bring the accused to trial for their murders. Now the Trial is set to start on January 7, 2019 with the Jury selection already in progress. The trial is said to last for up to as long as 6 MONTHS. I am asking for your help so that I may attend the trial and see justice done for my family. The trial is in San Bernardino, California while I live in Texas and have to travel to California. That has added cost of living there temporarily in California while maintaining my home in Texas. Thank you for your caring and understanding and helping me to see Justice Done for my Family! Although I wrote the book McStays Taken Too Soon, it has failed to raise anywhere near the funds needed for the trial. This is why I started the GoFundMe account. Any amount donated will and help is very appreciated. In Feb. 2010 an entire family disappeared without a trace from their home in Fallbrook, CA. Almost 4 years later their remains were discovered in shallow graves in the Mojave desert near Victorville, and a year later a business associate of the father was arrested and charged with their murder. Now, finally, almost 9 years later the trial is set to begin in January of 2019. Patrick McStay, the father/grandfather has written a book in an attempt to raise funds to travel from his home in Texas to attend the trial in California. Over the years I have followed this case I have come to know and respect this man who had endured unbelievable hardships in the quest to find justice for his son and family who were indeed Taken Too Soon. Won’t you please help him by buying the book, or donating to the GoFundMe (link in comments). The trial is drawing closer to a possible end in May and in the hands of the jury for deliberations . I can't say what the cost will be or how long the deliberations will take or how much money will be needed for me to be there for the entire time, but I will be there as long as possible. Any help is greatly appreciated. If there is possibly any money left after the trial, I will make donations for children to the Shriner's and St. Jude's Hospital for Children! Thanks for all the support, donations and kind and caring words! The Trial is still going on and the Closing Arguments are said to be set for April 29 an April 30, 2019. Because of the Court Scheduling it is difficult to make arrangements with Court only in session at the most 4 days in a given week. With the remaining days in the trial, there are only 3 weeks that have 4days of Court. the remaining 3 weeks have 1 week with a half day of Court, 1 week with 1 1/2 days of Court and 1 week with 3 days of Court. This makes it more expensive to stay in California for the Full Trial and it is less costly to travel back and forth as I have been doing. The expenses still go on and it is difficult making arrangements in advance to save costs although my priority is to be there for the Closing Arguments and as much of the deliberation as possible. Hopefully I can be there for any sentencing! LATEST TOTALS ARE ONE THIRD THE FUNDS NEEDED BASED ON A 3MONTH TRIAL! Now with the trial started and all the talk and a witness list of approximately over 180 scheduled to testify and only one week completed. There have only been approximately 7 witnesses testimony and we haven't even heard from one expert witness yet. We know each of the experts will take longer, so dividing 180 by 7 tells us it could be as much as 26 weeks or longer for the trial based on the the testimony and procedures so far! That all equates to the latest talk that the trial will last for 6 MONTHS? So much for 3 months and the cost for that. Donations now stand at $4660.00 far short of the total target amount of $15,000.00. The target was based on a 3 month trial, but did not include the sentencing hearing. We now hear the trial may go into April or beyond. That will further limit my attendance at the current fund balance. At this point I will have to limit my attendance at the trial while also allowing for attending any Sentencing Hearings if necessary. I want to THANK EVERYONE who donated their hard earned money to help me and to all those who have sent there kind prayers and caring thoughts. I truly appreciate ALL the help! Donations have increased this week to $1,125.00 and I greatly thank all for your generosity. Know this, any amount anyone gives helps tremendously! Thank You All! Many have recommended contacting the District Attorney's for assistance to attend the trial. Now I have been in continued contact wit the DA's with the victims advocate. I have kept in contact with them for updates on the trial status. I have also discussed assistance to attend the trial however I as many of you have been misinformed about their assistance or funds for such needs. "I think you misunderstand. There is NO fund for victims or family members to help with the cost of attending trial through the Victim Compensation Program. There is however a fund that is used by the Attorney for witnesses. If you are subpoenaed as a witness to testify in Trial. That fund covers travel expenses and lodging for the days you are needed to testify." As you can see there are no such funds available through the DA's Office, only for the days of testimony "if" one is subpoenaed. I also am not aware of any other organizations that fund costs of attending trial. Thank you all for your concern and understand I am not giving up!